Bangladesh is a country which operates its family law on the basis of Sharia (Islamic) law. We regularly deal with cases involving Bangladeshi nationals, or those who married them. The divorce procedure for a man is on the basis of a Talaq and registration at the local Union Council. If the parties consent to a divorce, it can be done relatively quickly. Financial arrangements are governed by the Nikkah. Children matters are dealt with via Islamic law also, but parties should be aware that Bangladesh is, like the majority of Muslim countries, not a signatory to The Hague Convention and, therefore, advice should be sought before a child is allowed to be taken to Bangladesh. 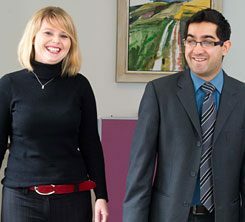 We are specialist international divorce lawyers and family solicitors and we advise clients who are either UK-based but originate from Bangladesh, or are living outside of the UK but have a connection with England or Wales.